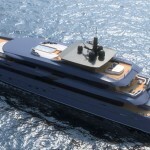 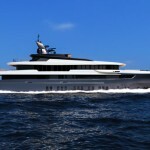 CCN releases their third model in Fuoriserie range, it’s called M/Y Freedom yacht. 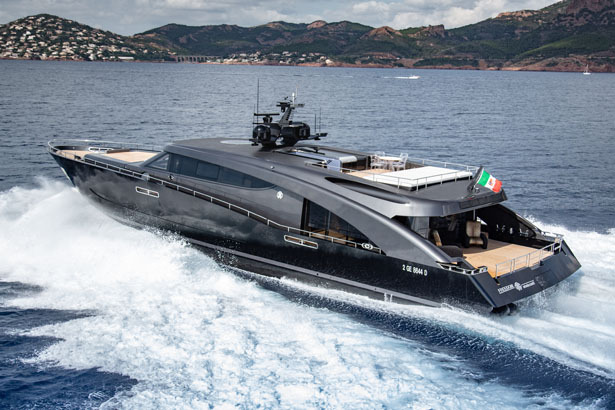 It’s a fully custom project where fashion designer, Roberto Cavalli, has transformed his yacht vision into reality in cooperation with architect Tommaso Spadolini. 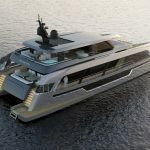 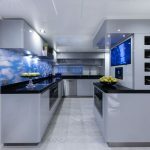 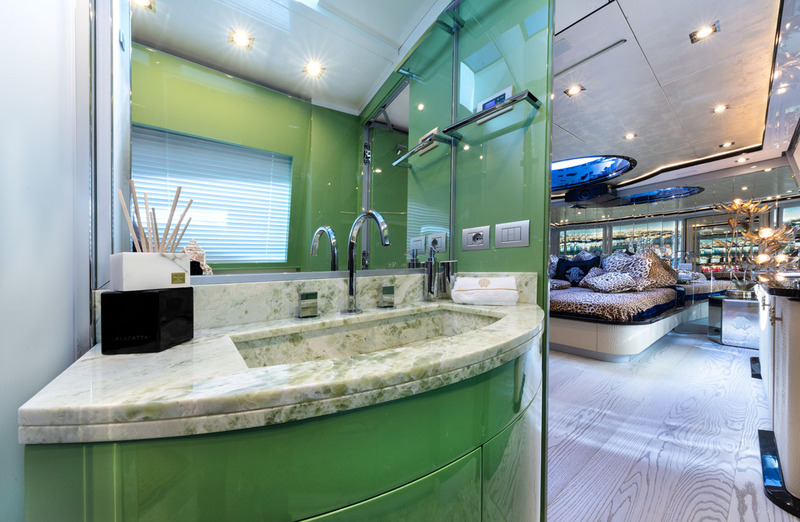 The exterior profile and interior layout demonstrate strong personality of the owner who asked a modern yacht for enhanced maximum contact with the sea while ensuring utmost privacy. 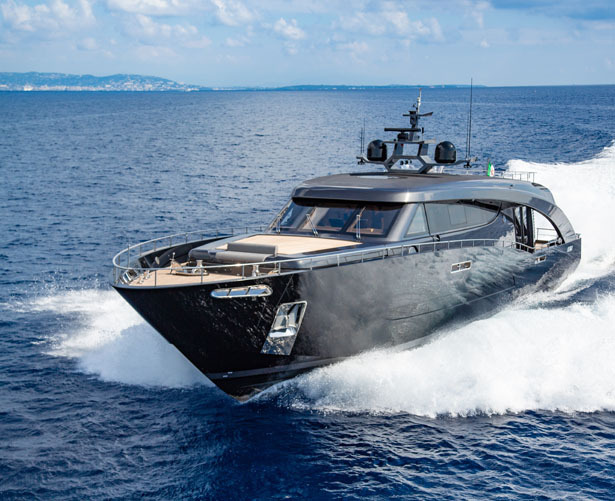 The result is gorgeous 28m aluminum yacht that features aggressive lines, low on water, plenty of volume, a nice flybridge, and high speed engine. 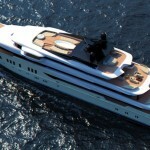 M/Y Freedom yacht’s hull has been designed to ensure stability, efficiency, seaworthiness, in all weather conditions. 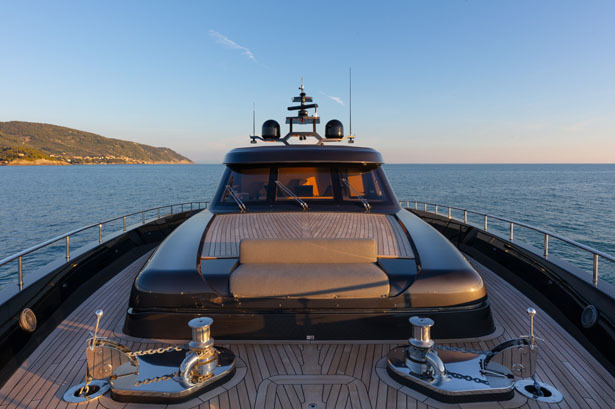 It’s been designed and developed to comply with generous beam required by the GA yet still limited to a length of 28m (still compliance with ISO standards). 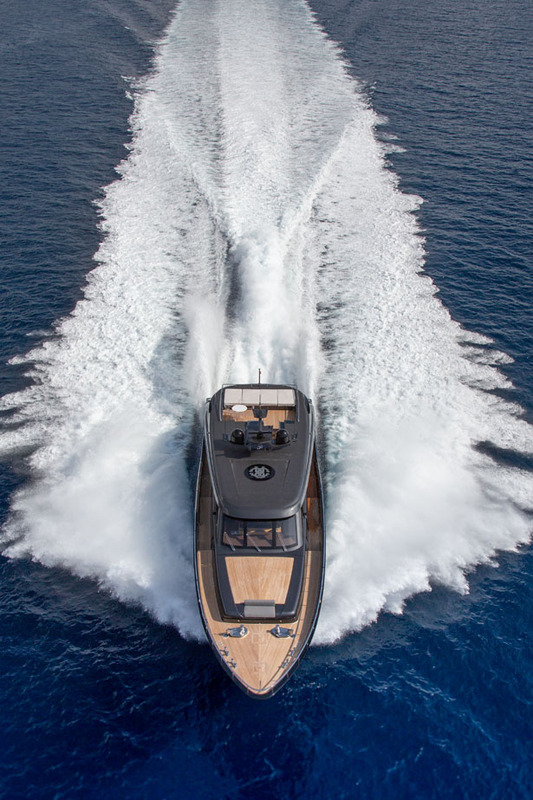 The 28m length body is exploited to deliver maximum bearing area, allowing the yacht to achieve an amazing top speed of 42 knots thanks to trio of Rolls-Royce water-jet and three MAN diesel engines. 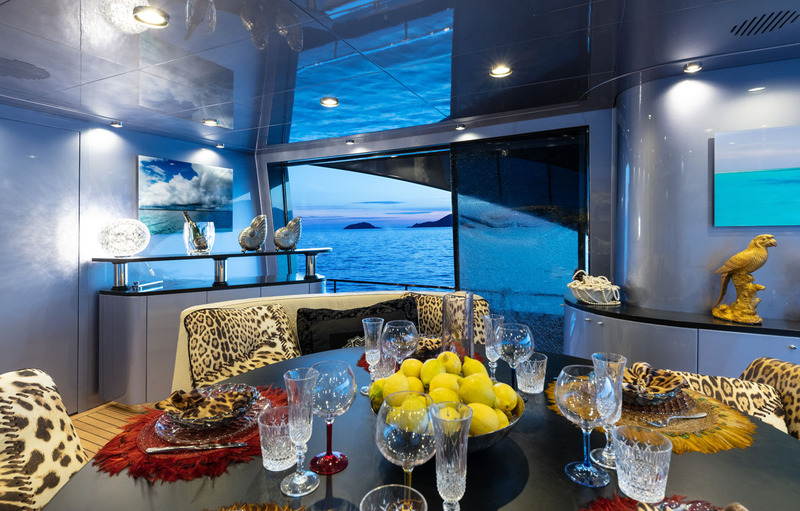 The challenge for interior layout was to optimize contact with the sea yet ensuring uncompromised privacy. 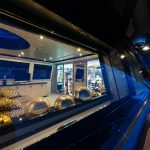 M/Y Freedom Yacht by CCN is designed with focus for very comfortable space, just few steps and a staircase. 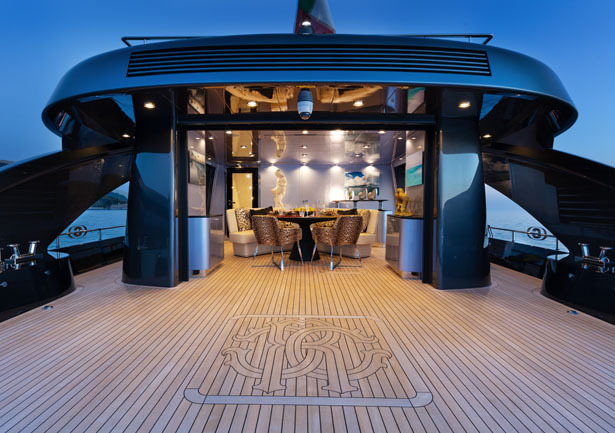 In order to meet this requirements, the whole main deck area have been developed at the same level (full-beam owner’s cabin and main lounge cockpit), there are four gentle slope steps only. 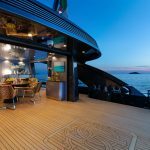 The design offers an unusual living space where beach area and main lounge work together as continuous space, so close to water. 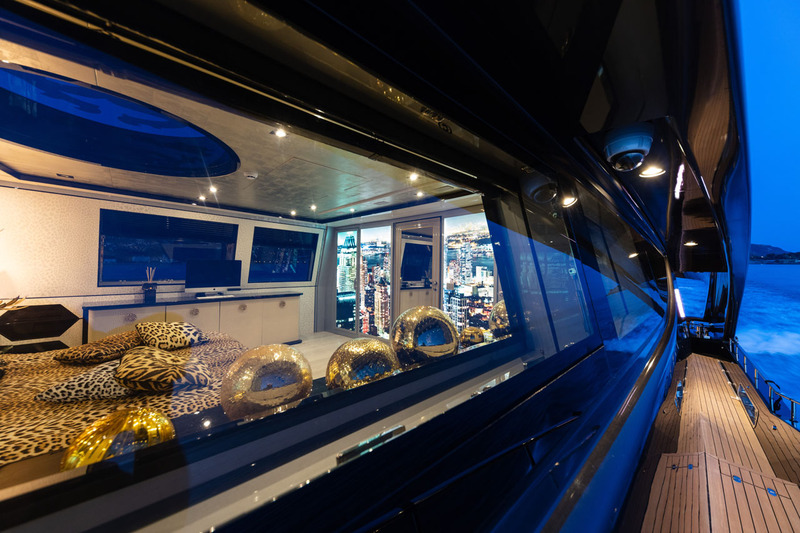 To enjoy inside space of main lounge, owner can close side doors and curtain. 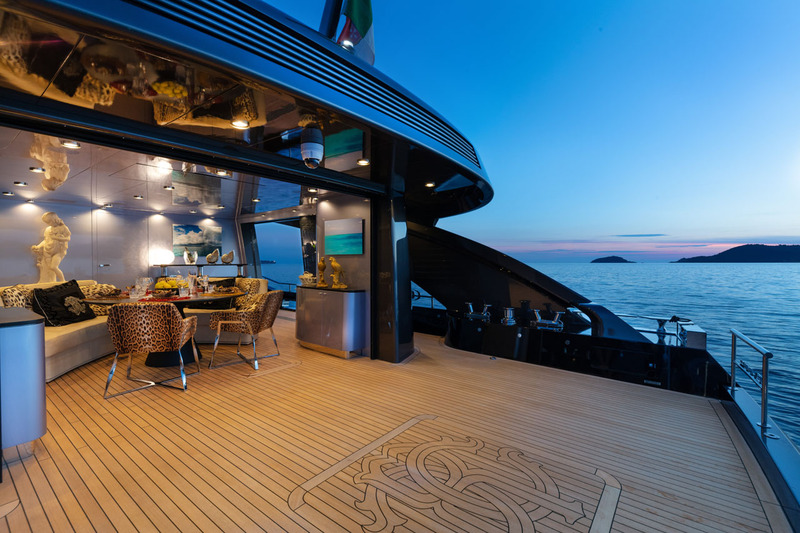 At main deck, the master cabin has been designed to benefit visual continuity with outside main lounge. 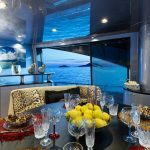 It means, the owner can enjoy constant sea-view, natural light, and air ventilation with those four large openable windows and an awesome central skylight. 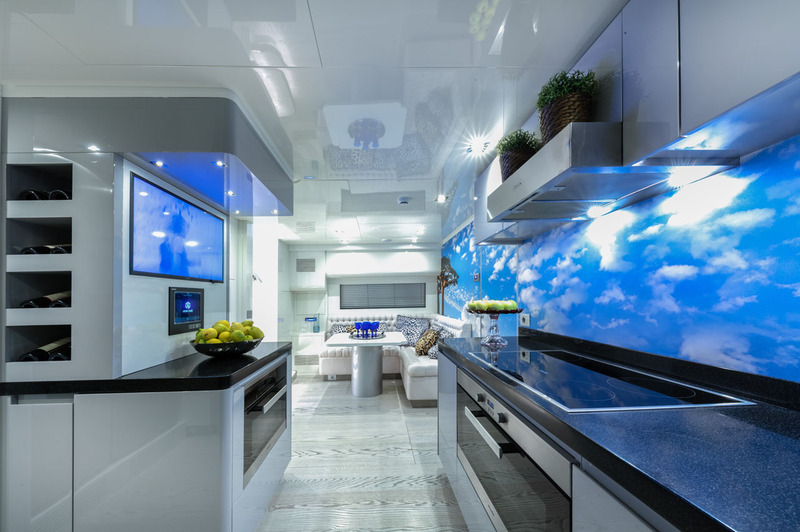 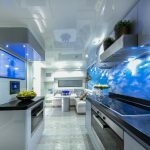 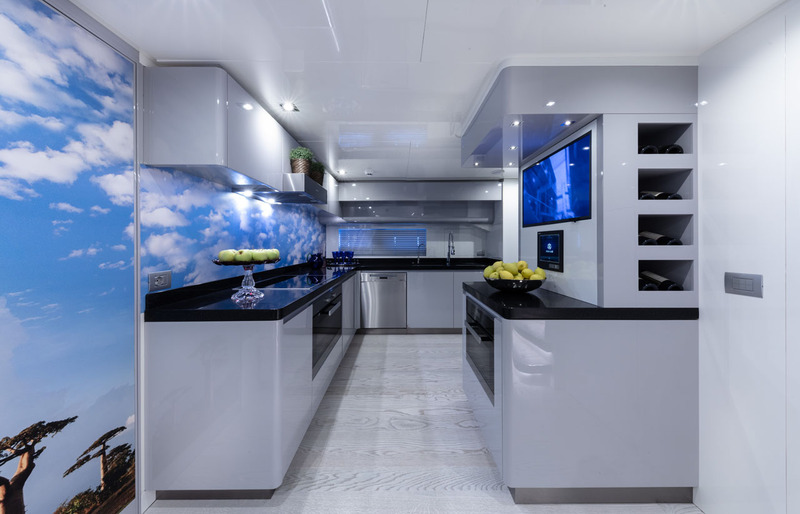 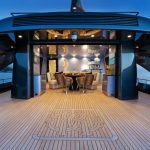 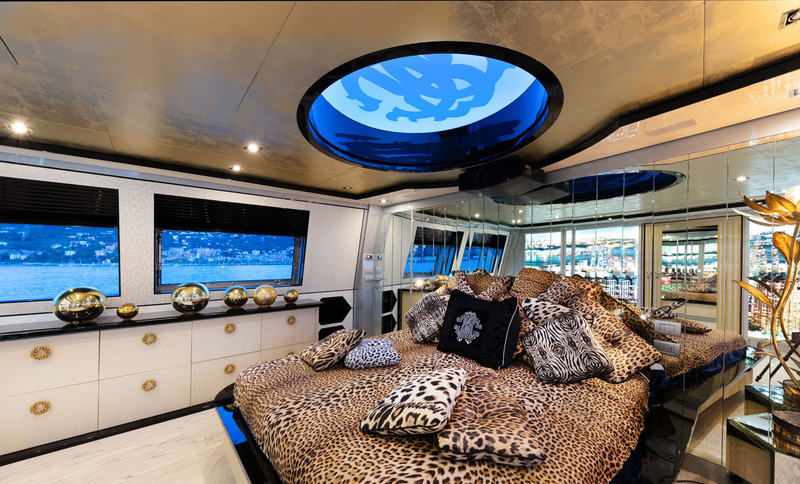 The decoration inside this yacht has been personally created by Roberto Cavali, he selected everything from furniture, accessories, fabric, and leather finishes. 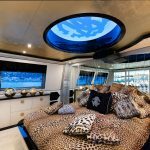 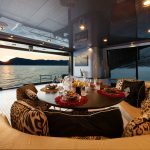 The overall interior reflects the owner’s love for photography, as bulkheads are covered with photos that he took himself during his travels. 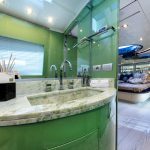 The stairway allows for easy access from main lounge to a full beam home-like galley, which is characterized by spacious top work, large fridge, TV, and audio systems. 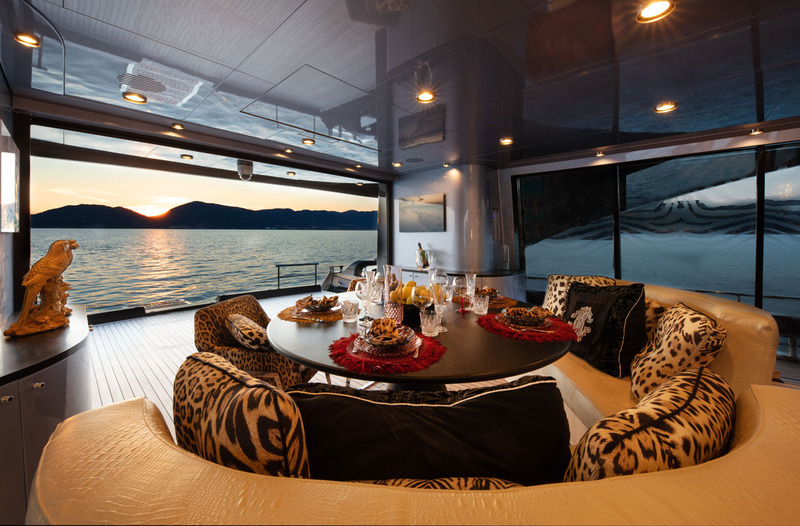 Accommodation for 2+2 guests is provided on the lower deck. 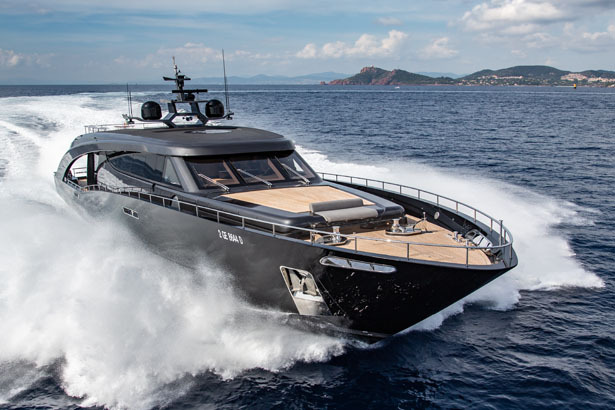 Tuvie received “M/Y Freedom Yacht” project from our ‘Submit A Design‘ feature, where we welcome our readers to submit their design/concept for publication. 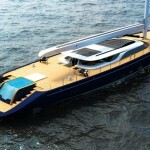 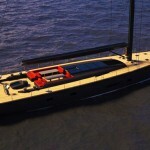 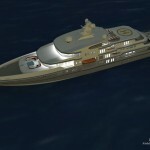 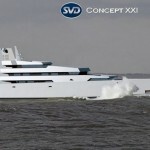 Tagged as 28m yacht design with good privacy, modern yacht for optimize sea contact.